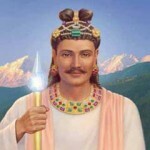 Lord Maitreya is the coming Buddha who has come… within! Lord Maitreya is known as the Great Initiator because it is his office to set up the intiations that we face on our path to help us BE MORE and to surrender to our God Self to Be More of our God Self Daily. Lord Maitreya is the momentum of the Christ Consciousness on this planetary body and he is a Beautiful Being of 100% Light. Maitreya was prophesized by Gautama Buddha in the Buddhic scripture as the next great Buddha to come. And yet Lord Maitreya has already come – within our consciousness. Life is Being Raised into the Golden Way of Being. Lord Maitreya does not come outside of us, rather within us, this is where we find the Peace that passes understanding and the Truth of our Being. 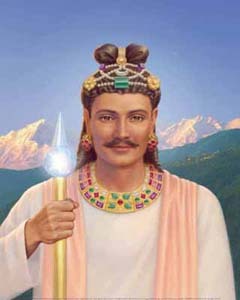 Work with Lord Maitreya, Cosmic Christ, by giving his Decree and by connecting with his flame daily. This will help us pass our initations that we face on the path and Maitreya certainly Wills us to Be MORE and fulfil our Divine Plan and is more than willing to help us pass all the initaitons that he creates! So it is very wise to gain a strong connection to this very Great Cosmic Being of Buddhic Light! (Should try and read “The Christ is Born in You” and “Master Keys to the Abundant Life” first, very powerful, very alchemical, very profound, very beautiful series of books. << on google books for free. Copyright © 2012 - Ascension NOW!